Today I've got a Christmas card design that would be great for mass producing. 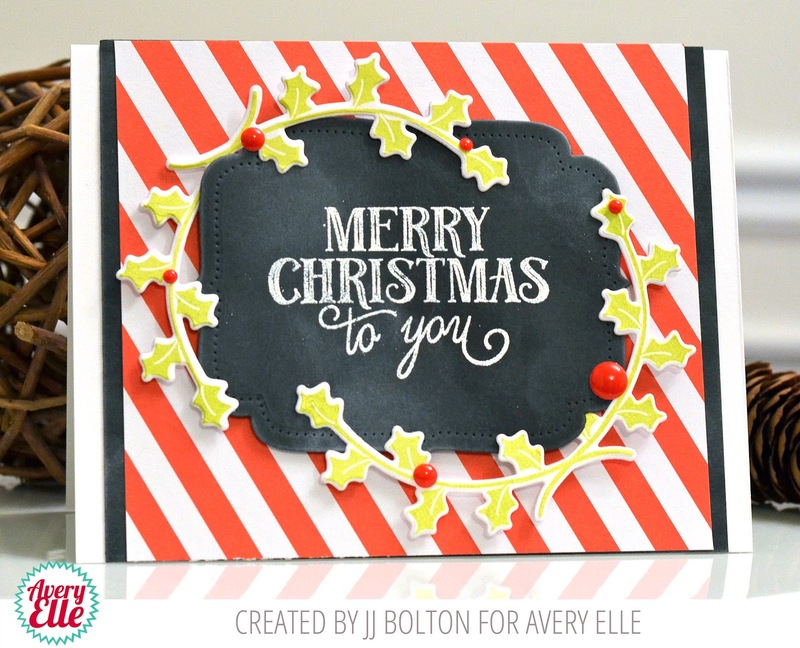 For this card, I used the Avery Elle Fa La La stamp set and the coordinating dies. If you are looking for new sentiment set for the holidays, you can't go wrong with this set. 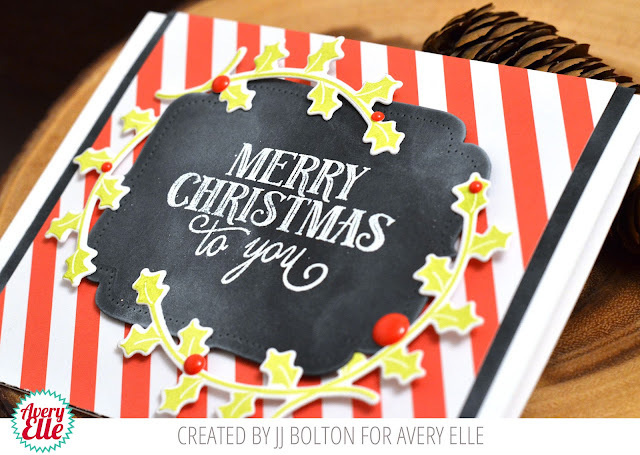 The fonts are so versatile and really go with almost any holiday image stamps you've got. For my card, I die cut a stitched label (using the You're Invited die) and did it up chalkboard style with some blended white ink. The sentiment was stamped with Versamark and heat embossed with white detail powder. I love how the vines wrap around the label. For a little extra detail, I layered some striped paper over more "chalkboard" black. I used enamel dots for my card, but flat sequins would be a great alternative if you want to mail your cards. This is so beautiful!! I LOVE the chalkboard look and the layering of the papers. This card is very pretty! The chalkboard looks great against the vivid stripes! Love it! Love the chalkboard label with the bold colors! Stunning card, JJ!